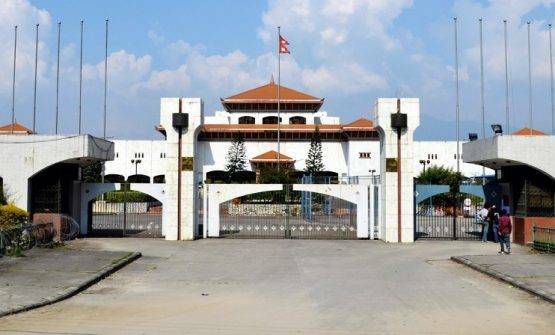 Kathmandu - Time for filing complaint against the candidates for the upcoming second-phase elections to the House of Representatives and State Assemblies has begun. The Election Commission has fixed 10:00 am to 17:00 pm today to register a complaint against the candidate at the respective office of Election Officers. Thursday marked the completion of the registration of candidacy for the upcoming elections scheduled on December 7 under the second- phase. According to the EC, it has registered candidacies of 4,708 people for the second phase election towards the first-past-the-post system taking place on December 7. These candidacies are for 128 seats in the House of Representatives and 256 for the State Assemblies elections from 45 districts. A total of 1,742 have filed nominations for the House of Representatives election while 2,966 for the State Assemblies. Likewise, the candidacy of women candidates stands at 334, including 126 for House of Representatives and 209 for State Assemblies elections. The EC is scheduled to investigate into the complaints against the candidates tomorrow and publish the approved name list tomorrow itself. November 5 has been declared as the day for publishing the final list of candidates and for allocating election symbols to candidates.